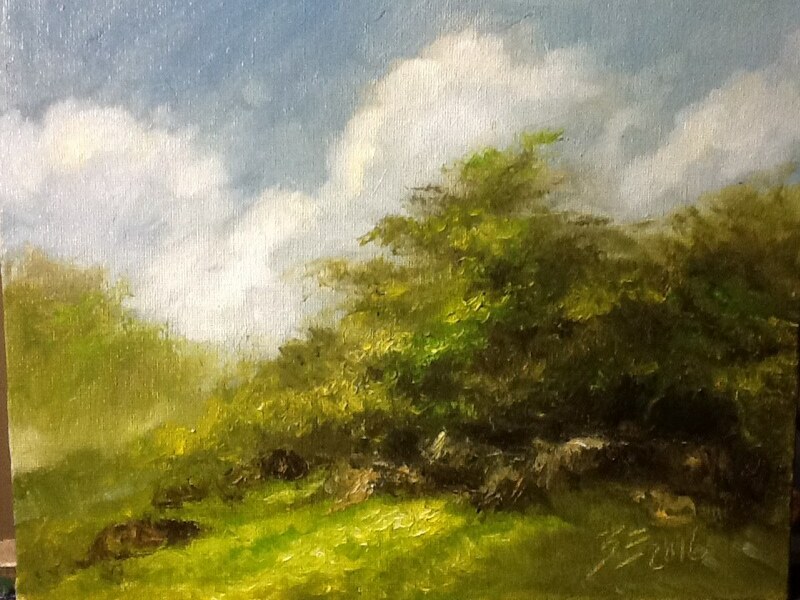 "Green Meadow" Oils, 8 x10 inches. $110. I am back to painting small "paintings of the day". Lots of fun and they get me motivated to work out ideas for larger works. Anyway, this one came to my mind, rather peaceful and bucolic and if you want it, email me!